MUSTANGS IN MANHATTAN. Both Valley Heights basketball teams watch the K-State Wildcats play West Virginia. Kansas State athletics host several games a year that specifically encourage high school teams to attend. If teams fill out a form, they are allowed to enter for free along with coaches and managers. The Valley Heights Mustangs took advantage of this opportunity on Wednesday, January 9th. After eating out at their choice of Chic-fil-a or Five Guys, the team settled in the student section at Bramlage Coliseum. 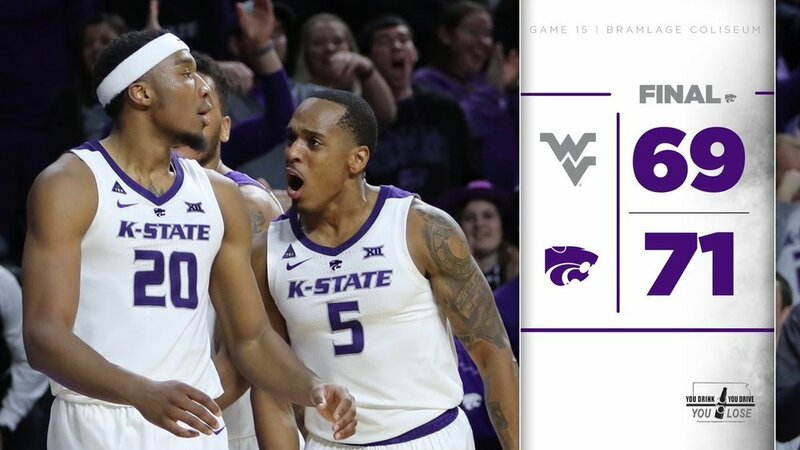 Despite a slow start, the K-State Men’s Basketball Team pulled through with a close win, their first win in Big-12 conference play. The Mustangs enjoyed the competitive game while picking up moves to try themselves. “It was fun to watch college-level basketball and take a break from playing. Being back in Bramlage after state basketball last year made the night even more special,” says junior, Kate Wanamaker. This fun break for the Mustangs comes right before the start of the Twin Valley League Tournament, commencing on Saturday, January 12th, in Frankfort.